You can make debt collectors stop. You have a solid legal right to be free from harassing debt collection. All it takes is a letter to the collector. We’ll show you how to write that letter and exercise your right. 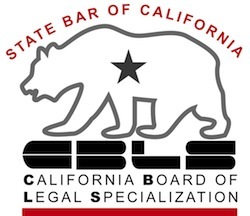 If you live in California, that letter will not only stop professional debt collectors, it will stop the creditor itself from nearly all contact about the debt. Understand, this right doesn’t make the debt go away. It doesn’t keep the creditor from suing you. It keeps them from using all their weapons to get you to pay without suing you. Suing you is time consuming and expensive to the collector. They want to harass, shame, or frighten you until you pay just to get them off the phone. Here’s a template letter invoking your right to be free of collection. Do not contact me further about this debt except in strict compliance with the law. While the federal FDCPA applies only to collectors hired by your creditor, California’s Rosenthal Fair Debt Collection Practices Act goes further. It applies the same do-not-contact rules to the original creditor as well. So, in California, you can add a reference to California Civil Code Section 1788.17, which is where the Rosenthal Act is found. You may want to add a paragraph to your letter if there are facts that suggest that there is no point in suing you to collect. This letter only says they can’t harass you; they still have the right to sue you. You just want to give them facts that suggest that a judgment against you is worthless. So, throw in any relevant facts such as your age, employment, health, or family situation that support your contention that you’ll never be able to pay. I’m 68 and living on Social Security. I’m the sole support of a handicapped child. I suggest that people with tax problems make clear to the collector that paying the taxes comes first. Your case is strengthened by a line that identifies the debt you’re talking about. It’s also strengthened by sending it to a named individual, preferably the President of the collector or of the creditor. Nothing keeps you from sending copies to the name the collector is using (it’s often not their real name) AND to officers of the collector. Keep a copy of the letter. Send it by means that will get you a receipt showing that it was delivered. Then if you get communications that are not consistent with the rights you’ve claimed, keep notes about phone calls or copies of letters. Those documents can support your claim to statutory damages and payment of your legal expenses. Enjoy peace at home and at work. So goes the gambler’s advice to the young card player in the hit Kenny Rogers song. Hum along as we think about how we play our cards when we’re in debt: the hardest call is to know when to fold and file for bankruptcy. With few exceptions, everyone wants to repay the debts they consider legitimate. Paying your debts fits our self image and our values.We make heroes of people who’ve scrimped, worked two jobs, gone without, to pay their debts in full. Congress in 2005 made much of taking “personal responsibility” for your debts. The pro creditor Congressmen cast bankruptcy as the choice of those unwilling to shoulder the consequences of their actions. Those peddling credit shout that bankruptcy will cripple you in the credit market til the end of time. If you’re in debt, it’s hard to know how sort your choices and to know which to discard and which to hold on to. No one talks about the big picture cost of paying off debt. No one talks about those whose bull headed commitment to payment blinded them to other needs and other financial threats. No one talks about those who sacrifice and still fail to pay their way out of debt. No one talks about debt-ridden elders with no hope of better times ahead. So how do you assess your cards, so to speak, when choosing between get out of debt strategies? 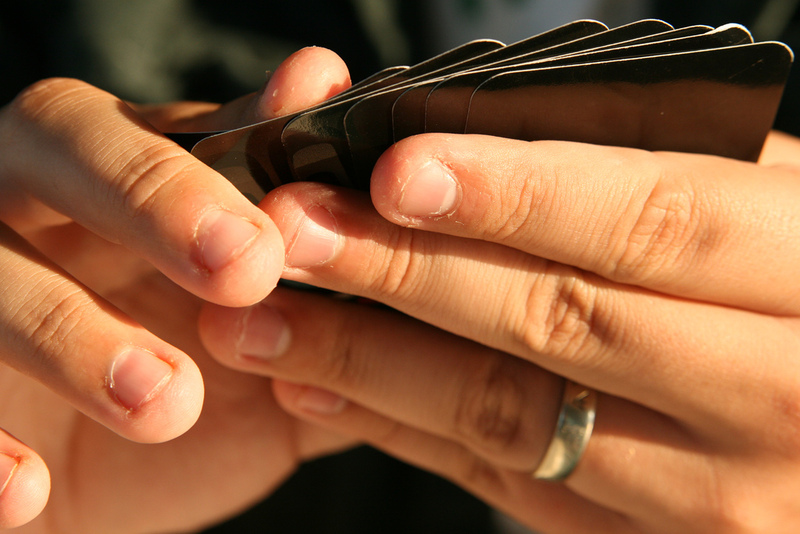 Just like playing cards, the decision to commit to paying off your debts depends on the relationships between the cards you hold. It’s the relationship between the factors that are important, not hard and fast rules. Let’s look at the factors. HOLD: the smaller your total debt, the more likely you can pay it off. FOLD: the larger the total debt, the longer it will take and therefore the more likely other events interfere. HOLD: the younger you are, the longer your remaining working life and your chances to catch up on other needs when debts are paid off. FOLD: the closer you are to retirement, the less likely it’s smart to continue struggling with debts. Do you owe taxes, support, or mortgage arrears? How well are you fixed for retirement? Do you have any reserves for emergencies or job loss? What you want to avoid is throwing money after old debt in a campaign that can’t succeed, or that risks even more than your pride if you don’t make. To live paycheck to paycheck, and starve your savings trying to do the impossible is not smart. And it’s not necessary. Keep paying on old debts only if you hold the cards to succeed. Otherwise, fold ’em, file bankruptcy, and draw some new cards for a fresh start. What is life after bankruptcy really like? Lucky enough to get a tax refund this year? Then celebrate America Saves week by telling the IRS where to put it. I mean, where to deposit it. A tax refund is the perfect place to boost your savings. And you don’t have to choose between spending it all or saving it all. Turns out, the IRS has a form (you knew they would, didn’t you?). Form 8888 allows you to split your refund between a savings account and your checking account. You can even use the form to buy U.S. Savings bonds. Or deposit it in your IRA or 401(k). You do have a retirement savings account, don’t you? If not, get with it and open one. The average Social Security check is $1300, not enough to live comfortably in old age. A frightening fraction of Americans don’t have enough savings to pay for a $400 unexpected expense. Four hundred dollars isn’t much in today’s world. And emergencies are seldom thoughtful enough to come in modest sizes. The last government shutdown sent hordes of regularly employed folks to FOOD BANKS because they didn’t have reserves sufficient to go a month without income. Hit the savings bank, not the food bank. Stock up on cash. Habits are powerful. Bestsellers have been written about how they direct our behavior. One healthy habit is to put yourself (and your family ) first when it comes to money. Pay yourself first each month, preferably with an automatic deduction at work, if you get a paycheck. If not, write the first check each month to yourself, before you pay the rest of your bills. It doesn’t have to be a big amount to make it a habit. The non-profit America Saves site has savings tips and tricks to get you started. Their tag line is right on: Start small, think big.